G.I. 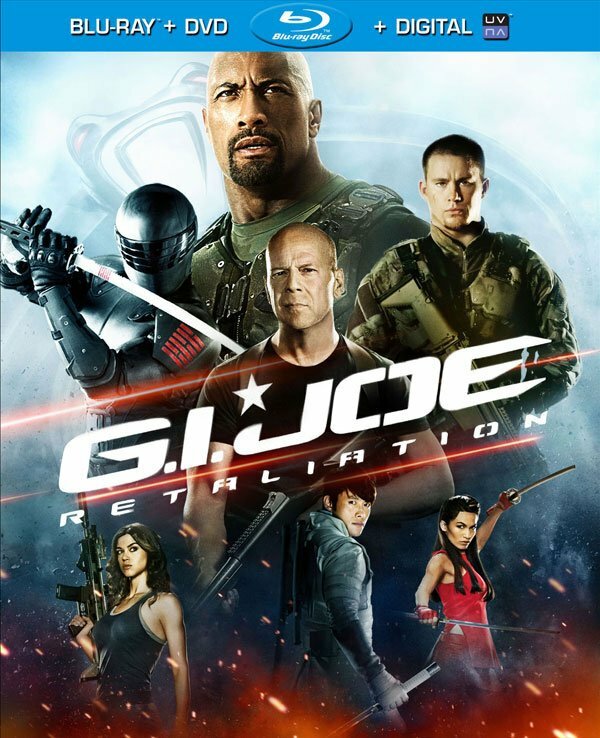 Joe: Retaliation is similar in scope and action to its 2009 predecessor, Rise of the Cobra, but this time around, we mostly have a different cast and a different set of bad guys. The plot this time revolves around bad guy Zartan (Arnold Vosloo), who is impersonating the President (Jonathan Pryce) in order to take control of weaponry. Along with this treasonous plotline, a second storyline involving ninjas and the rescue of Cobra Commander from an underground prison is interwoven into the plot. It sounds a little convoluted, but these plotlines manage to come together, and Paramount Home Media Distribution has graciously extended us an exclusive Blu-ray bonus clip to help explain how two different worlds can sometimes collide. The above clip is a behind-the-scenes look at the nuclear summit scene that was shot for the film. Pryce’s capacity for humor is discussed, but the most interesting thing we get to see are shots of swordplay and how quickly that swordplay is accomplished. Pryce is actually interviewed on camera for the clip and notes how fast-paced and adept the sword sequence are within the film, stating “It looks as if you’re looking at a speeded up film.” It’s interesting to see a view of the action sequences from well behind the lenses of the cameras shooting the film. I think audiences often like to think a good percent of the wildest action sequences are accomplished with more than a little help from the cameras, but in G.I. Joe: Retaliation that doesn’t seem to be the case. The exclusive Blu-ray bonus clip does a great job of showing fans what to expect out of Retaliation, action-wise. However, the film actually stars Dwayne Johnson, Channing Tatum, Bruce Willis, and Adrianne Palicki, who each bring some much-needed humor to the film. Early on, Johnson and Tatum banter constantly, which helps keep the pace of the film fresh and never overly action-laden. Clearly, the film was doing something right, as it grossed $54 million in its opening weekend domestically and went on to make over $335 million worldwide. That’s enough moolah that another sequel is potentially on the way. The film is already available via Digital, but if you’ve been holding out for a Blu-ray or DVD copy of the movie, you’ll be able to get your hands on a copy beginning on Tuesday, July 30. The film boasts over an hour of bonus features looking at the creation of the film, but you’ll have to shell out for a Blu-ray copy to catch the extras. Luckily, that sucker is available for pre-order for only $19.99, at least via Amazon. You can check out the full list of Blu-ray bonus features, below.